Halloween begins on October 18 at Starbucks in Japan. 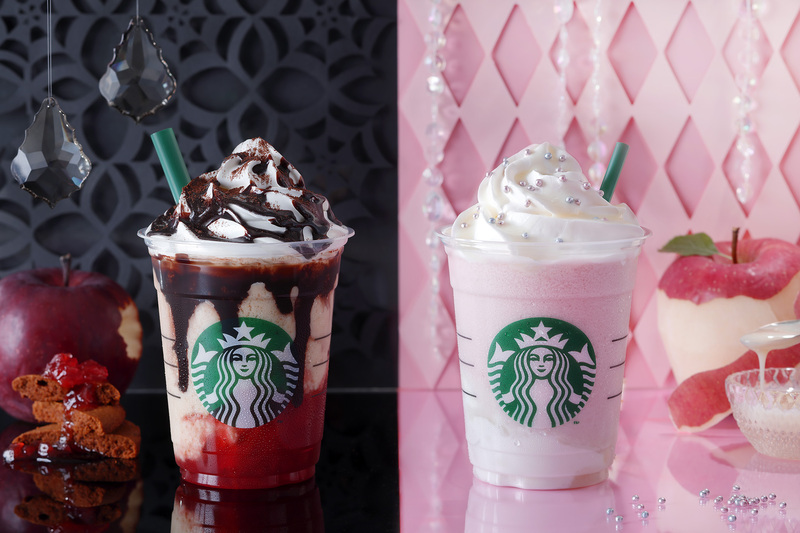 The coffee chain will release the Halloween Witch Frappuccino® and Halloween Princess Frappuccino®. The theme of these two beverages is “Which are you? It’s the day your decide.” Customers must decide which fate lies inside them – are they a witch or are they a princess? Both are completely different in appearance but are also each made with an apple compote. If you know you’re a witch, you’ll receive the dark coloured witch frappe. 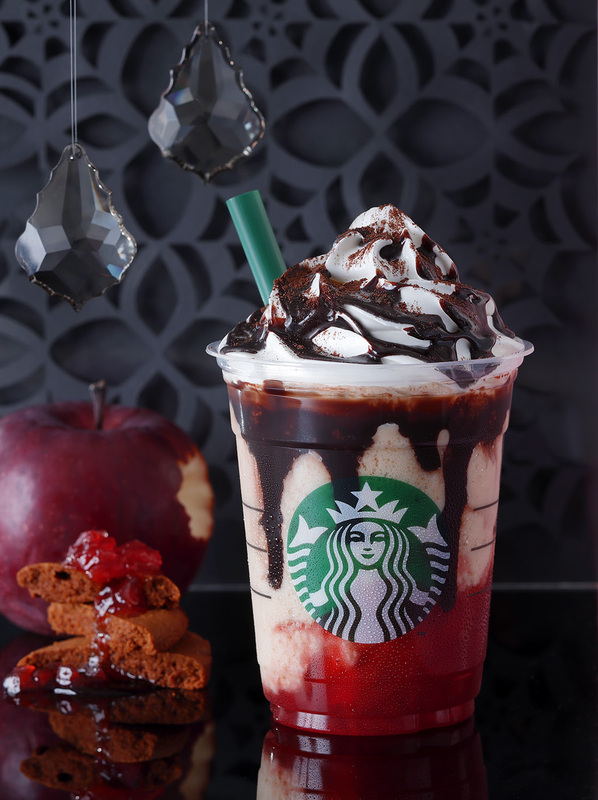 The drink is first filled with a striking blood red apple compote on top of which sits whole blended caramel cookie made into a frappuccino. It’s also topped with chocolate sauce which seeps into the whole drink to give it that witch-y look. If you’re a princess, you’ll get a cute princess frappe. 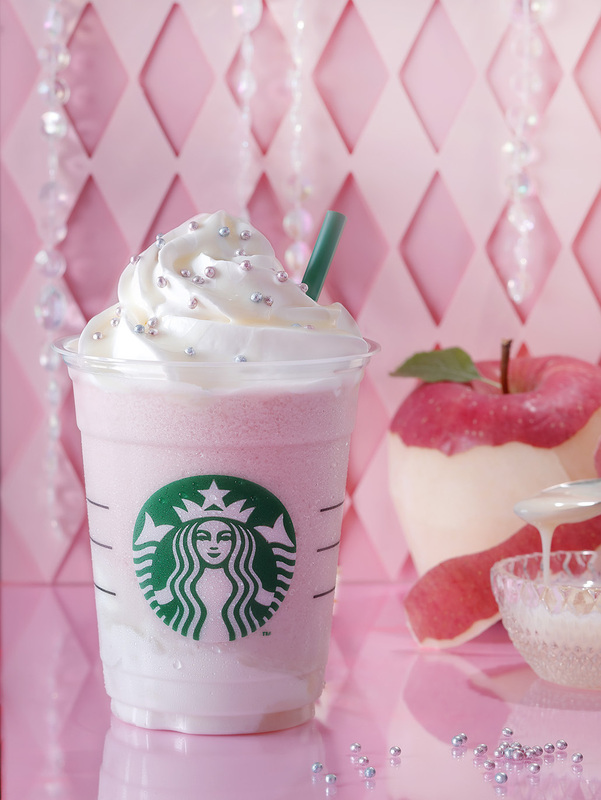 The drink is made with apple compote along with white mocha sauce and whipped cream with sweet milky flavours. The pink and blue toppings also crown the drink for that extra princess mood. So, which are you: a witch, or a princess? Available: At most Starbucks branches across Japan.